 The first Western Canada MedWAR will be May 25th, 2019 at Buffalo Pound Provincial Park. Capacity: 15 teams of four (4) at $300 USD (approx. $400 CAD) per team. Sunrise on the Terminator trail at #BuffaloPoundProvincialPark. If you have any other questions, please don’t hesitate to email us at saskatchewan@medwar.org. Also follow us on Facebook!